The U.S. Department of Transportation rolled out the GROW AMERICA (Generating Renewal, Opportunity, and Work with Accelerated Mobility, Efficiency, and Rebuilding of Infrastructure and Communities throughout America) Act recently, calling for several big changes in transportation policy and funding. 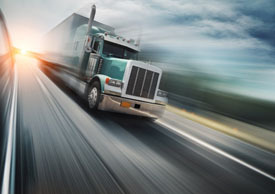 The president recently announced that a second phase of fuel efficiency and [no-glossary]greenhouse gas[/no-glossary] standards for heavy-duty vehicles will be proposed in March of 2015, with rule adoption a year later. Some aspects of the program are likely to change from the first phase of the standards. EPA and NHTSA only finalized the first fuel efficiency and greenhouse gas standards for heavy-duty vehicles in August but soon must begin thinking about the next round.